GAA: goals against average, GFA: goals for average, GDA: goal difference average.Production is per 96 minutes because that is the average length of an MLS game. Touch percentage is percentage of total team touches on the ball while the player is on the field.. That, plus expected assists and goals can be found on our Player xG 2016 table. Minnesota United is new to MLS, but unlike fellow expansion side Atlanta United (everyone is united nowadays) this is not an entirely new team. The Loons leave the NASL, where they have played under a few other names since 2010. While it's a club with a solid history and strong supporters, for most MLS and USMNT fans Minnesota didn't enter their consciousness until October 2014, when winger Miguel Ibarra became the first 2nd division player to train with the national team since 2005. He was called up five times by Jurgen Klinsmann, and parlayed that international exposure into a contract with Club Leon in the summer of 2015, before returning to sign with Minnesota this season. But while Ibarra is certainly an attacking threat, he never led the team in scoring. For each of the last three seasons that’s been Christian Ramirez, who led the NASL in scoring two of the last three years (he finished 2nd in 2015). They’re also joined by three other NASL squad players that made the final MLS team, which all goes to say that this is anything but a new franchise. Don't tell Ted, but this has the feel of a newly promoted team adding to the fringes of an already solid core of players. Still, there isn't much MLS experience, so to help mitigate that lack of league understanding they’ve hired Adrian Heath, who managed Orlando City through their transition from the lower levels of the US Soccer pyramid into MLS. While they waited until late to get started, he’s made made some key additions and brought in some old friends, opting for a more conventional style of expansion, a la Montreal, Vancouver, and Portland rather than NYC or Atlanta. Only time will tell if they've made the right choice. Coming from IFK Göteborg to start between the sticks is former Swedish international John Alvbåge. At 34, he’s spent almost the last two decades playing in Sweden and Denmark, and is a veteran of the 2006 World Cup. They also traded for Bobby Shuttleworth from New England, who has been the starter there for the last four seasons. If Alvbåge doesn’t turn out to be as good as they hope, then he should be able to fill in capably. Patrick McLain was picked up from Orlando to be the 3rd string ‘keeper. Starting on the left side of the defense will probably be NASL callup Justin Davis. He’s been with the team since 2011 and will bring a good bit of experience and stability to the back line. On the right will either be the similarly experienced (he’s been with the team since 2012) Kevin Venegas, or Jerome Thiesson, who comes on a transfer from Switzerland and will probably be the long-term starting right back. The team brought in Trinidad international outside back Alvin Jones for a trial but ultimately didn't sign him, though that probably hints at the fact it’s a position where they want to add some depth. If there are any more additions to the team in the next few weeks, fullback is probably where they’ll be. Managing the left center of defense will be Costa Rica international Francisco Calvo, who is fresh off his first international goal versus Honduras at the end of January. Next to Calvo will be Norwegian international Vadim Demidov, who has experience with Real Sociedad and Eintract Frankfurt, but comes most recently from Brann in the Tippeligaen. This is a solid and experienced halfback core, something conventional wisdom says is vital for an expansion side. Providing defensive depth will be Joe Greenspan and MLS veteran Jermaine Taylor, who will provide versatility and experience in case of injury. Molino's 11 goals last year were 2.42 more than his xG & 8 assists were 3.76 more than his xA. It will be tough to replicate that in 2017. Kevin Molino will be the focal point of the offense. He was Orlando's best player last season and relied upon when Kaka was out. Molino leaves Orlando City as the club's MLS leader in goals and assists. He contributed 0.5 xG+xA per game in 2016 and will be expected to improve that figure as he slides into the full-time #10 role. Most onlookers thought Minnesota spent too much for him, as they paid Orlando $450,000 in General Allocation Money and $200,000 in Targeted Allocation Money for Molino and 3rd string keeper McLain. The sum of $650,000 reportedly ties the record for the largest intra-league transfer with Eddie Johnson’s move in 2013 from Seattle to D.C. Heath revealed that while he was scouting multi-million-dollar players in Argentina this offseason, he kept asking himself, “Is this player better than Molino?” When Heath called Molino and asked him if he wanted to play for Minnesota, “Hot Boy” did not hesitate. Maybe $650k is not too much for a franchise player with familiarity that is just hitting his prime. Johan Venegas showed flashes for Montreal off the bench last season in 759 minutes. He led the 4-0 rout for Costa Rica over the USA in World Cup Qualifying, scoring the opening goal. He seems to have stepped up a level in the last six month and he and Molino were the standout performers this preseason. While he played on the wing for Montreal, he has also seen time at forward for Minnesota and will be the starter on the right wing to begin the season. Josh Gatt was tipped to be a top American player six years ago but has had a career derailed by injury. He is incredibly fast. Can he stay healthy and regain his form? There isn't a bigger question mark on this roster than Gatt's ability to contribute. If he can return to the player he was when he got his first USMNT cap in 2013, this could be the sleeper signing of the MLS offseason. 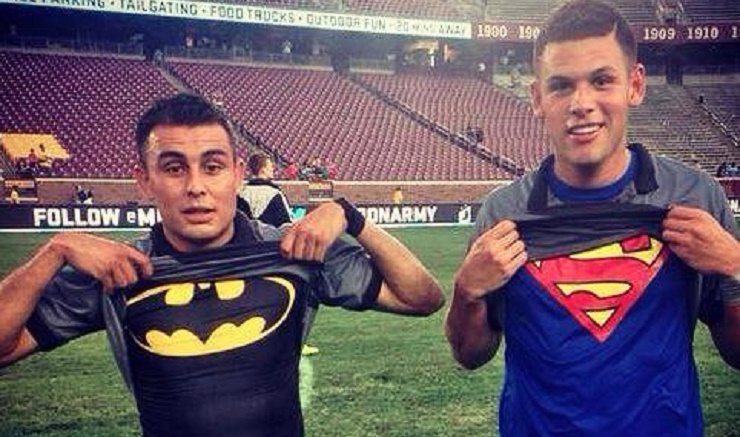 Miguel Ibarra and Christian Ramirez (AKA Batman and Superman) took the NASL by storm two years ago and had incredible chemistry. Last year, Ibarra could not get playing time for Leon so is back with his old club and will be the starter at left wing. Ramirez earned the Golden Boot for the second time with Minnesota United in the NASL and is the starting striker. Now they are reunited and entering the prime years of their careers. Can they repeat their performance at the MLS level? As you can see, a lot rides on young players and players who are new to the league. Over half of the roster has never played in an MLS game before. The front office waited too long to make moves this offseason, with key contributors arriving less than two months before the start of the season. Ibarra and Ramirez were inked after the turn of the year. Rasmus Schuller, Molino, and Alvbage were all signed at the end of January. Bashkim Kadrii, Gatt, and Thiessen arrived in February. To try to account for their late start, Minnesota United has played more games this preseason than any other Western Conference team. Heath has rotated players heavily in an attempt to figure out who goes where. For a team that relies on chemistry over star power, a lack of cohesion would be devastating. 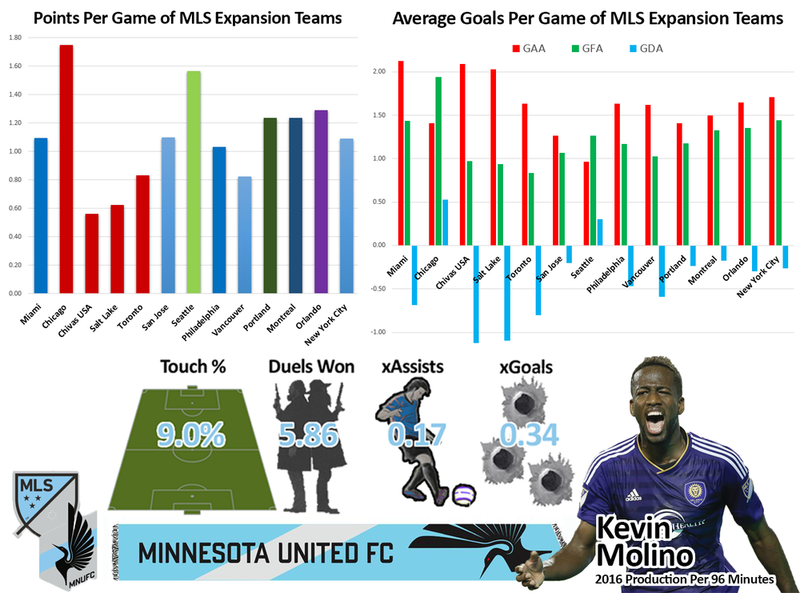 Most MLS fans have written Minnesota off completely, suggesting there is no possibility that they make the playoffs. Expansion teams have a very difficult time in MLS. Out of 13 expansion teams, only Chicago in 1998 and Seattle in 2009 made the playoffs in their inaugural season. And MLS has noticeably strengthened over the last eight years. Minnesota fans have had to defend their team and try to convince others that they will not finish in last place. If everything goes right, it’s possible. They might finish second-to-last.